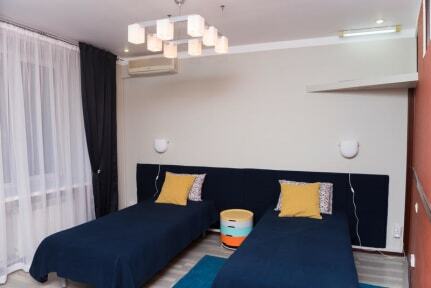 The hostel is located 15-20 min walking from the central train station. 30 min walking to the city center or 10 min by bus. Nearby parks, Irkut river. You can walk in the park, feed the squirrels, make a pick-nick near the Irkut river and just relax and enjoy Russian forest in the very city heart. Hostel Discover Siberia has comfy beds, two excellent showers, common room and mini kitchen. We offer all necessary tourist information about Irkutsk and Lake Baikal, excursions and tours in our region. We are happy to show you our Russian hospitality. Discover Siberia with us! Brilliant, cozy hostel with the best shower I had along the trans Siberian railway. I booked it because it was a 15 min walk from the station but was v pleasantly surprised.